The construction of the elementary school in Dapoya started in 2011. The project progressed in several stages and was completed in June of 2016. 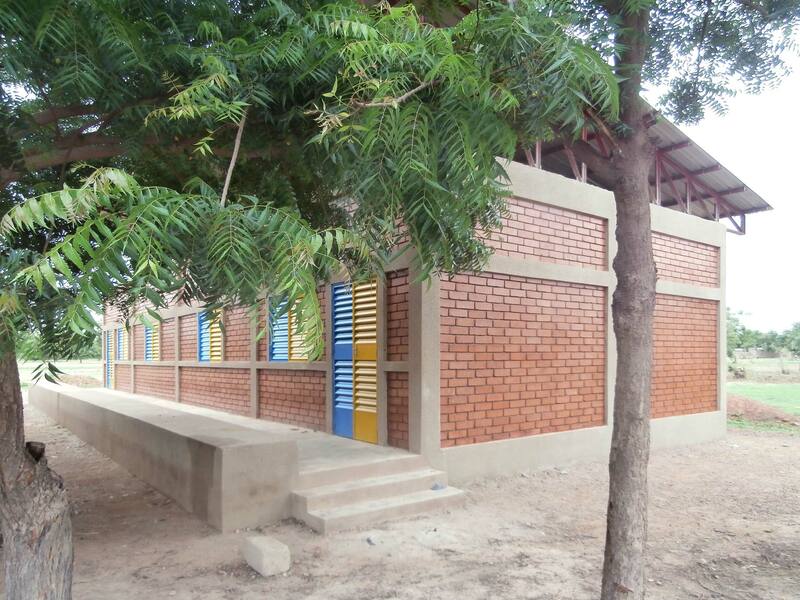 Now there are six classrooms, latrines and a well. There are almost 30 teachers, 15 of them are young trainee teachers, and 450 children. In 2017, a photovoltaic system was installed on the roof. Now the newly gathered electricity makes evening classes for adults possible at the school. To celebrate completion, an official ceremony was held in February 2018 and young mango tree seedlings were planted. 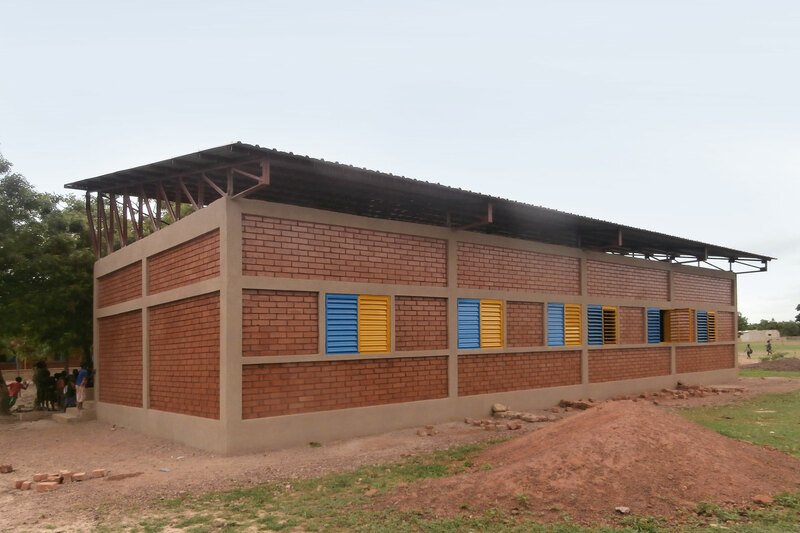 The school in Dapoya is a project run by the aid fund of the three managing directors of the engineering office SBP in Stuttgart. The climate concept was developed by TRANSSOLAR in cooperation with SBP. The building is naturally cooled: the room height has been stretched and the roof is ventilated by natural airflow. Ground channels and a solar chimney support this cooling effect. This robust technology works effectively without electricity. 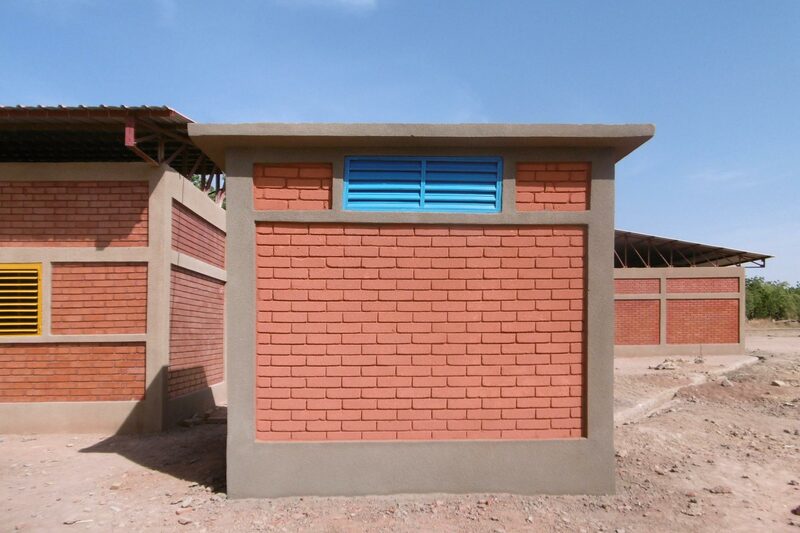 Clay (+ 7% cement) was used as the building material for the bricks, saving resources. The reddish color is that of the clay. This school differs visibly from others. 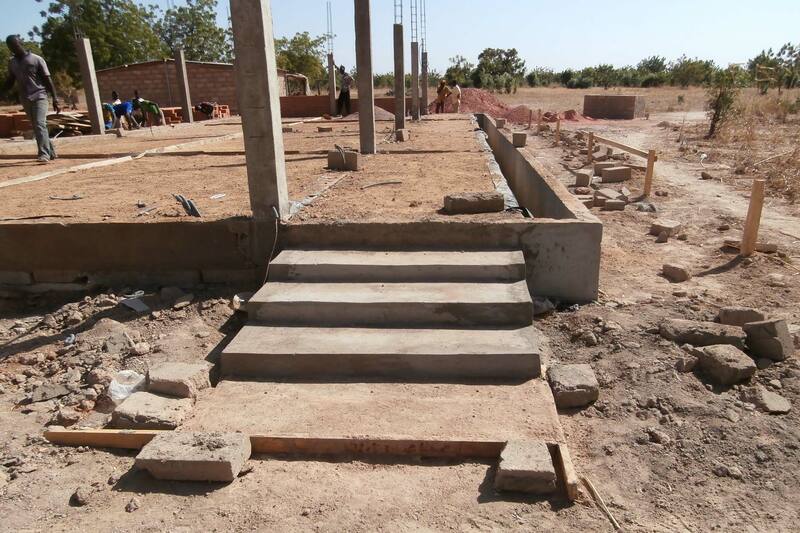 The association reports that many people say that it the most beautiful school building in Burkina and find it very functional. Students and teachers are highly motivated and enjoy their beautiful school.